Today we have an interview with prominent asset protection and international banking attorney Joel Nagel. Mr. Nagel is one of the top experts in offshore banking, asset protection, international trusts and everything international. Joel M. Nagel is founder and managing partner of the international law firm of Nagel & Associates, LLC. Joel’s practice focuses exclusively on offshore asset protection, estate planning and international business. We at Escape Artist are most interested in Joel Nagel’s international business acumen. As background, Joel Nagel structured the 2,500-acre, Gran Pacifica hotel resort complex in Nicaragua for an investor group. He also has structured a three-acre boutique resort in Ambergris Caye, Belize and has been a major player in the creation of offshore banks, insurance companies, hedge funds and mutual funds abroad. Attorney Joel Nagel currently sits on the boards of 15 companies, and is involved in strategic planning and US compliance for countless others. Joel Nagel has been quoted in U.S. News & World Report and has been featured in the Pittsburgh Post-Gazette, Pittsburgh Tribune-Review and Pittsburgh Business Times. He has also published articles on over 20 well respected websites on living, working, and doing business abroad. Cementing his position as the go to guy for offshore banking, Joel Nagel is the Chairman of Caye International Bank. This is the leading investment bank in Belize and has been in operation for over a decade there. As you can see, Mr. Nagel wears many hats in the offshore world. We were very happy to be able to sit down with him and talk international banking. Christian Reeves: Hi Joel, thank you for making time for us today. Let’s get down to business. It’s very difficult for us Americans to open offshore bank accounts or do business abroad. Have you seen this in your own practice? Joel Nagel: Being a US citizen or permanent resident has never been more challenging when interfacing with the rest of the world. People generally like Americans but not our government. No other nation is more generous and philanthropic in its giving to the rest of the world and no people has helped others to secure freedom, liberty and economic prosperity more than the United States. But now, our government has alienated itself from much of the rest of the world. Even our friends and allies have concerns and misgivings about the American government. It has become the 800 pound gorilla in the room that literally nobody trusts or with which few want to do business, outside of selling us their products. Christian Reeves: What effect have you seen from FATCA and the myriad of laws meant to keep American’s money at home? Joel Nagel: Our own government dictates laws and regulations such as FATCA which impacts over 120,000 financial institutions around the world mandating standards even US banks do not meet. These institutions can comply with the regulations by spending hundreds of thousands or even millions of dollars a year to become the financial police, overseeing their US customers, or they can comply far easier and with literally no cost by simply closing their doors to Americans.‎ An increasing number of financial institutions have chosen the later. The door for many Americans to hold their assets abroad is fast closing. It’s not just banks….brokerage firms, insurance companies, trust companies, real estate firms, hedge funds, mutual funds, non US publicly traded companies….the list goes on and on. It’s an enormous “hassle” in this day and age to do business with Americans‎ and many foreigners are shying away or completely stopping business with Americans altogether. Christian Reeves: What can Americans do to improve their access to foreign banks? Joel Nagel: Of course there are some good offshore banks out there which specialize in US clients, such as Caye Bank in Belize. But, if you really want access to larger banks in a financial center, you can apply for residency in that country. For example, become a legal resident of Panama and you can open an account at just about any bank in the country. Because Panama doesn’t require you to spend a certain number of days in the country, it’s a great residency for Americans who plan to remain in the US. The best residency program in Panama for a US citizen is the Friendly Nations Reforestation Visa program. This allows you to become a full fledged legal resident, and gets you a bank account in the country, with an investment of $20,000. Again, becoming a resident is not for everyone. It’s for those who are fully committed to diversifying their assets and investments and are looking for larger banks in Panama. Christian Reeves: Thanks Joel, that’s a great idea one one I’d never heard before. Thanks for your time today. Joel Nagel: Happy to see you and look forward to our next event. I hope you have enjoyed this transcript of a conversation with Joel Nagel. 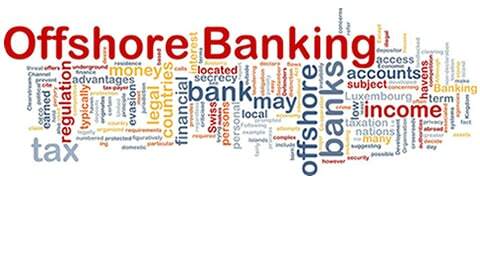 For more information on residency and offshore bank accounts, please contact us at info@premieroffshore.com. I will answer your questions and get you connected with Joel. For more on Panama’s Friendly Nations Reforestation Visa program, see: Best Panama Residency by Investment Program.